This is the (second half of the) eighth installment in the All-Grain Brew Day Walkthrough, which started with a post on strike water preparation. After the wort has been boiled, it’s time to chill it. 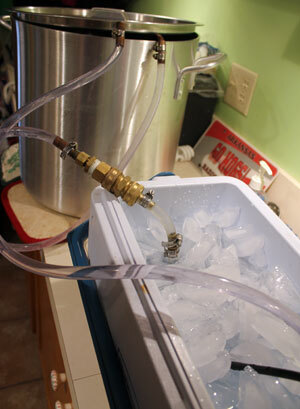 In the first part of this discussion of wort chilling, I explained how to chill the wort using an immersion chiller. Today, I will discuss counterflow chiller and plate chillers. 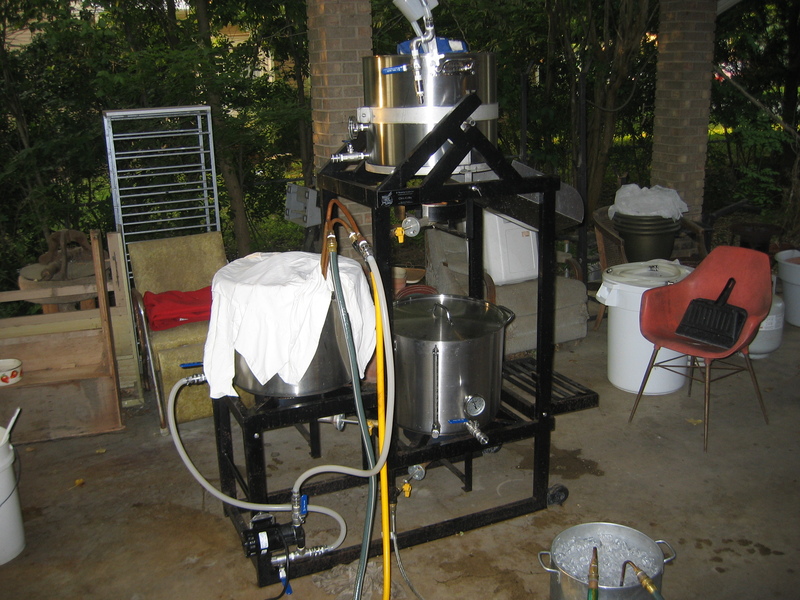 Wort chilling — on my rig, a pump circulates the wort, so it flows past the cooling coils. This speeds cooling. This is the eighth installment in the All-Grain Brew Day Walkthrough, which started with a post on strike water preparation. After the wort has been boiled, it’s time to chill it. In some cases, the brewer may first employ a whirlpool step, but we’ll save that topic for another day. 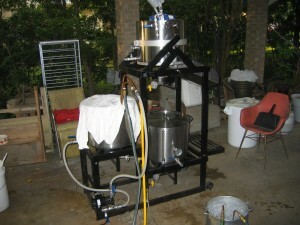 Chilling brings the wort temperature down to a point that yeast can be pitched to it. It also forms the cold break. Most all-grain homebrewers chill their wort either with a copper coil immersion chiller or some form of counterflow wort chiller. 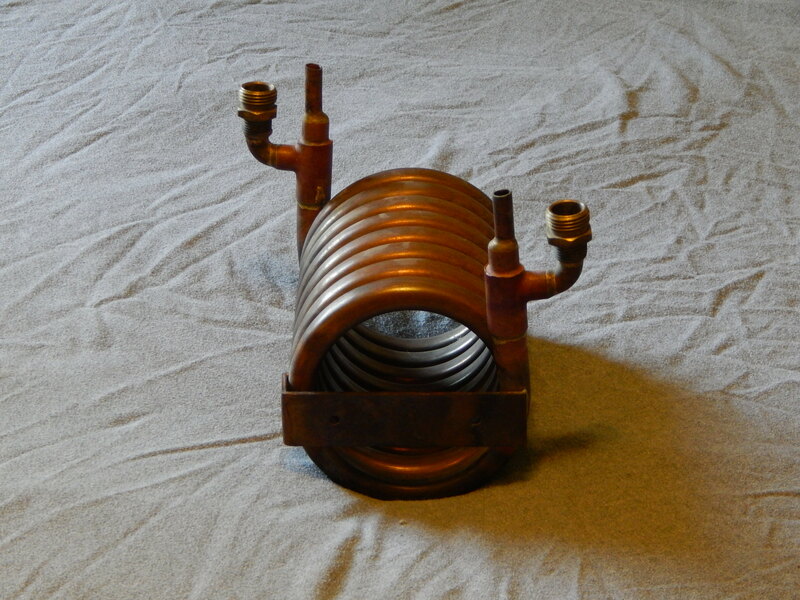 This includes the coiled “tube within a tube” type counterflow chillers as well as plate chillers. Today I’ll discuss using an immersion chiller. In the next installment of this series, I’ll cover counterflow chillers.